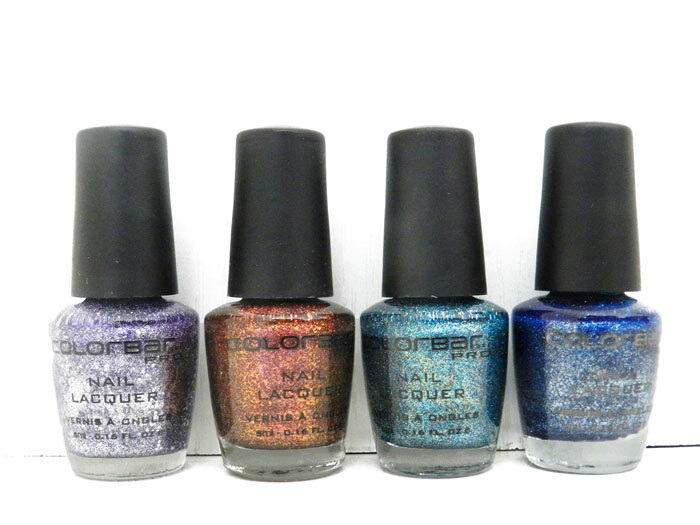 Colorbar Darkened Summer Nail Lacquer Kit Review, Swatches & Price: Fluid Sand Nail Polishes! Isn’t it a lovely feeling when you receive products as gifts which you always wanted to try but never really bought it? For me, it has always been the Colorbar Pro Nail Paints. These OPI “look alike” bottles always caught my fancy but in my opinion I felt these were a bit over priced. If you are a nail polish junkie like me, I am sure you would agree with me. 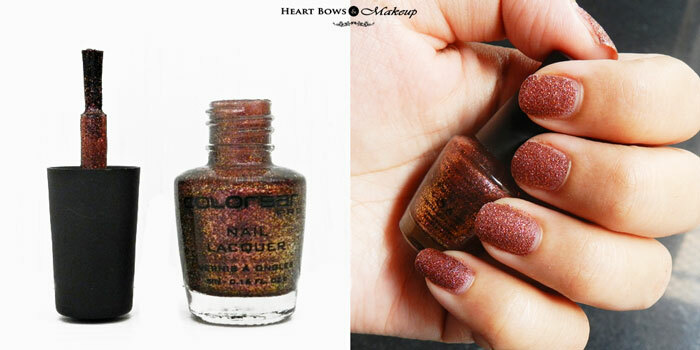 Finally, I am glad to use Colorbar Pro Darkened Summer Nail Lacquer Kit and here is what I think about it. Colorbar Pro Nail Kit in Darkened Summer is basically a set of 4 mini nail polishes from their Fluid Sand Nail Lacquer range. It is perfect for gifting as it comes housed in a beautifully designed plastic packaging. Colorbar Fluid Sand Nail Lacquer gives a matte finish and sand like texture and I think it is perfect for summer. These nail polishes come with a long wear time (about 5-6 days) with minimal chipping at the tips. I am in love with the sand texture finish and is quite similar to the Face Canada Sand Fluid Nail Paints. 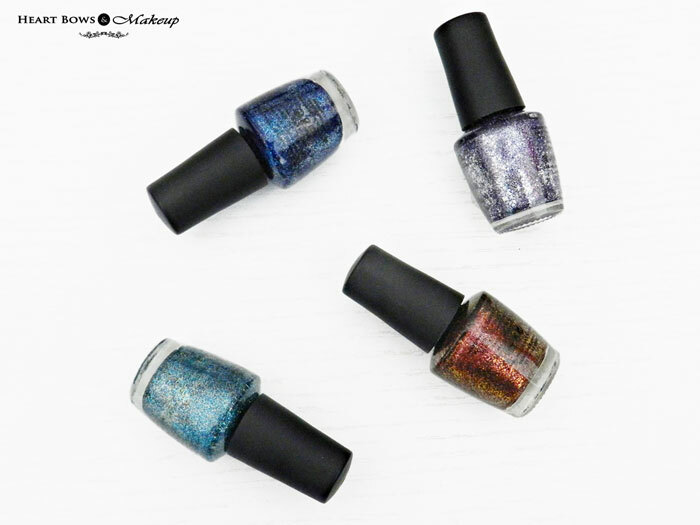 A cheaper dupe of both the variants are the Maybelline Glitter Mania which we personally love here at HBM! 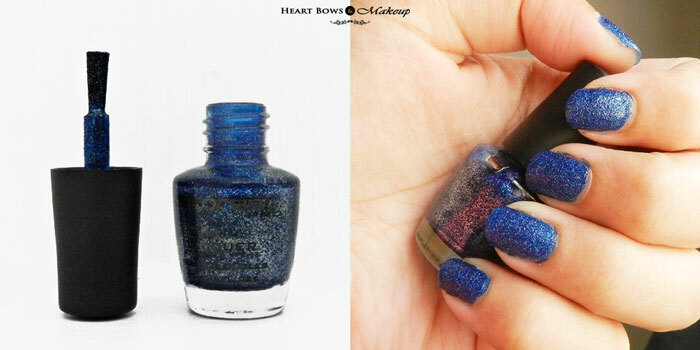 Colorbar Fluid Sand Nail Lacquer Wedding Affair: It is a true sapphire blue color with a lots of blue and silver bling quotient. This is such a pretty color and it will look stunning not only in summers but all year around. Colorbar Fluid Sand Nail Lacquer The Proposal: Colorbar describes this color as Maroon but to me it is a unique reddish and kind of a rose gold color. It will be a perfect companion for Indian ethnic wear during upcoming wedding season. This one is loaded with gold and red glitter flecks. 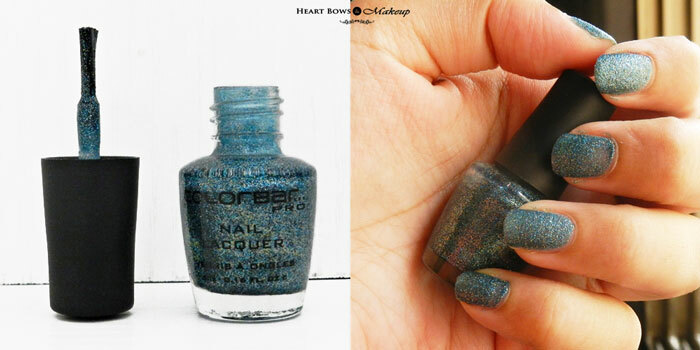 Colorbar Fluid Sand Nail Lacquer Won’t Let Go: This color is bluish sea green and screams a day at a beach to me. It has hues of gold, green and sky blue glitter. I found this to be on a sheer side and maybe I should have applied a third coat as well. 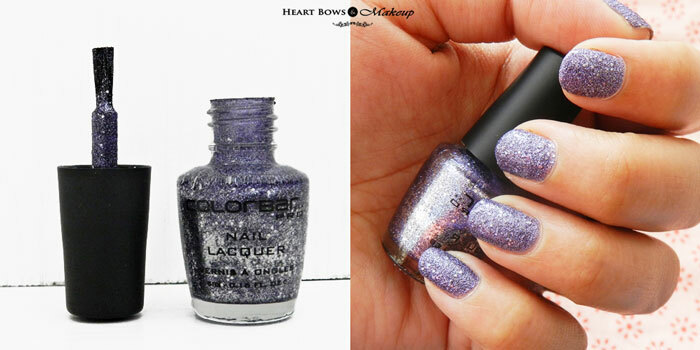 Colorbar Fluid Sand Nail Lacquer Stay With Me: This one is my favorite of all 4 and I don’t have such beautiful purple color in my stash. I think what makes this color so amazing is a little chunkier silver glitter apart from the bluish purple flecks. Like all glitter nail polishes it can be a struggle to remove this. 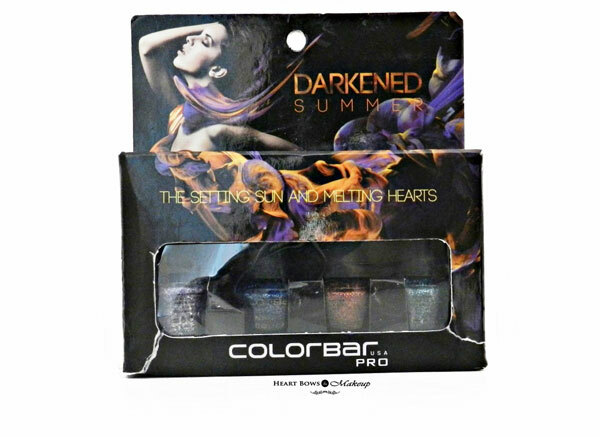 HBM Recommendation: Colorbar Pro Darkened Summer Nail Lacquer Kit is a great gifting option and these are high quality nail lacquers. Individually, these Sand Fluid Nail Polishes can be quite expensive hence the kits are a more feasible option. For the price paid, you get 4 luxury size nail colors which is a good deal. 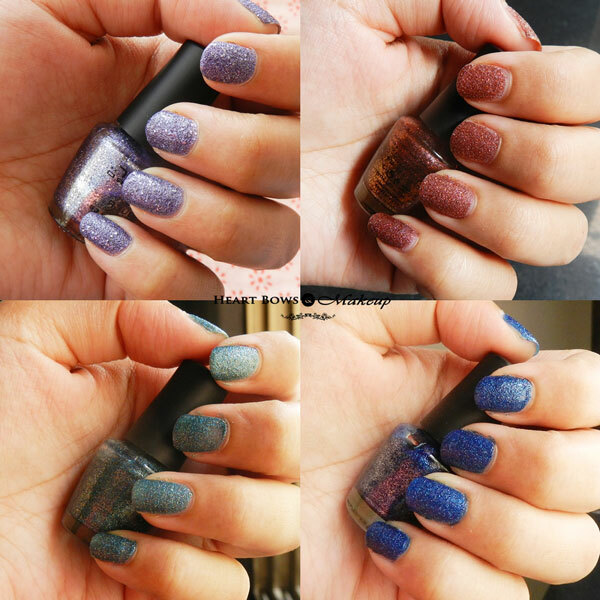 But if you are still looking for budget option, Maybelline Glitter Mania Nail Polishes can be a good alternative.